Cars, unending tract homes, and cul-de-sacs are all ways of the past that are fading out. 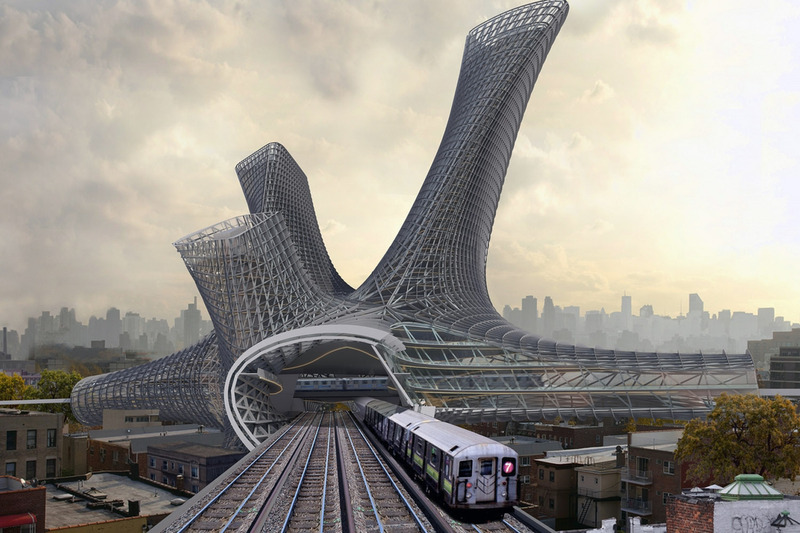 People want to live in more urban centers with rich public transit options, like the above futuristic vision of Urban Alloy Towers in would-be Queens, NY. Smartphones compete against cars for young people’s big-ticket dollars, since the cost of a good phone and data plan can exceed $1,000 a year. But they also provide some of the same psychic benefits—opening new vistas and carrying us far from the physical space in which we reside. “You no longer need to feel connected to your friends with a car when you have this technology that’s so ubiquitous, it transcends time and space,” Connelly said. In other words, mobile technology has empowered more than just car-sharing. It has empowered friendships that can be maintained from a distance. The upshot could be a continuing shift from automobiles to mobile technology, and a big reduction in spending. The old cul-de-sacs of Revolutionary Road and Desperate Housewives have fallen out of favor with Generation Y. Rising instead are both city centers and what some developers call “urban light”—denser suburbs that revolve around a walkable town center. “People are very eager to create a life that blends the best features of the American suburb—schools still being the primary, although not the only, draw—and urbanity,” says Adam Ducker, a managing director at the real-estate consultancy RCLCO. And why buy a car and have it sit for 23 hours a day when you can get a car via Zipcar or Uber on demand via smartphone? This makes me hopeful for the future of cities as the younger generations surge into voters and key positions of power in government.